Bintulu is the host for Malaysia Day this year. I have never seen this city so merry. The small city is bustling with cars, people and well us.haha the roads have been repaired, flags every where and chirpy sounds of the people in the background. 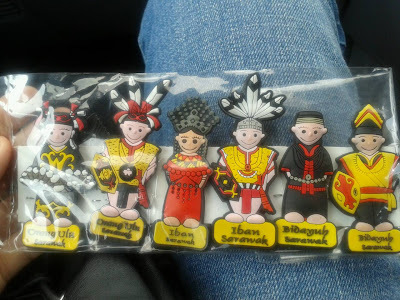 p/s colleagues hv been asking for fridge magnet from Sarawak. Here you go. Just bought it.